Creamery Burns : Fire completely destroyed the Maple View Butter Factory at "Laguerre" (probably an area situated in Huntingdon close to Beauharnois! ), now owned by Tremblay Bros. The factory... was first built by the former "McPherson-Furguson". At the time, Mr. Robert Rolfe of Huntingdon worked for the concern. 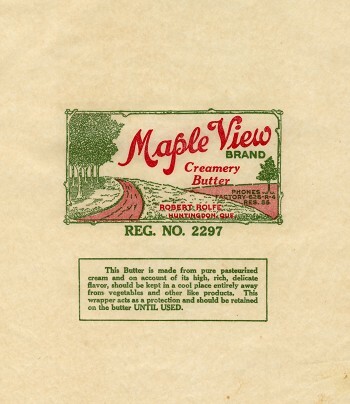 Later, Mr. Rolfe took over the business, which he carried on for over 30 years.